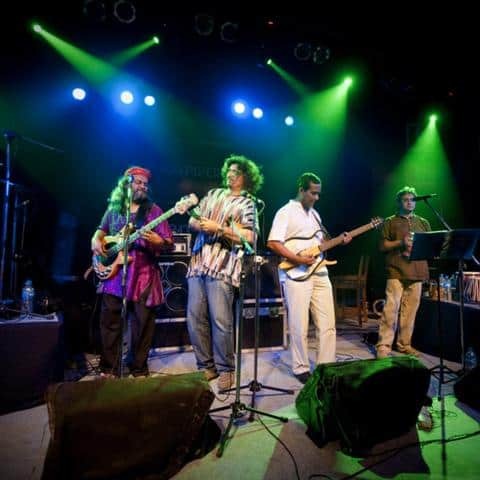 Indian Ocean band live at Sura Vie, No1 Scindia House, Janpath, CP > 9:30pm on 19th January 2012. Sura Vie presents live performance by Indian Ocean. Blend into the best ingredients from food and contemporary fusion music, to involve the senses and give you that unmatched enjoyment of entertainment collectively. Indian Ocean is a Contemporary Fusion music band with Jazz laced rhythms. Formed in the early 90’s, they have been one of the spearheads of the Indian Rock scene. Their unique sound of Contemporary Rock mixed with Classical, Jazz and Fusion have earned them a cult following.